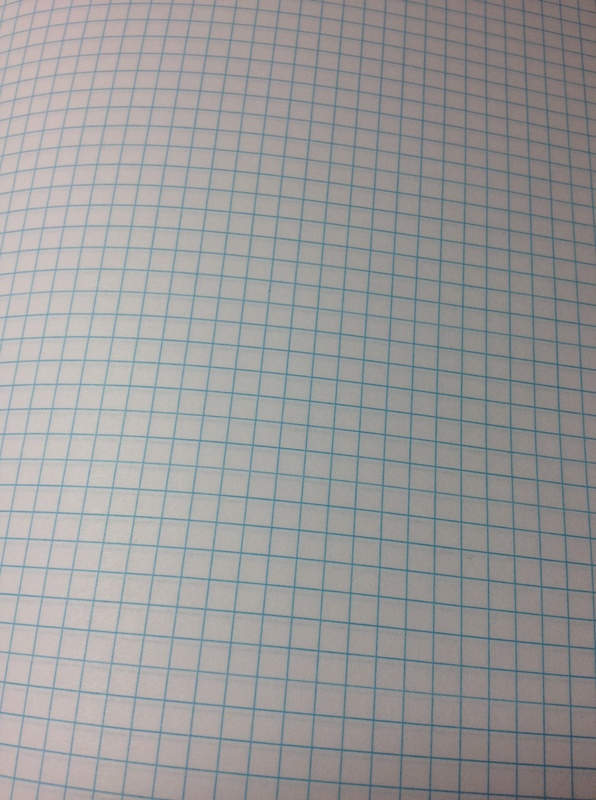 Every time I have the time, I foolishly look in the notebook section at Walmart (both the office and/or crafts). 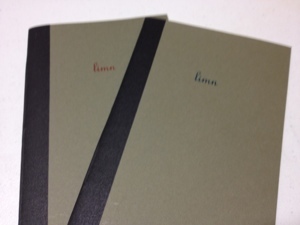 I don’t know why, I always know that the notebooks won’t be great but I’ll be swayed to buy one anyway. In this case it was a hardback pocket sketchbook that I thought was only a dollar (it’s about 5 times that). 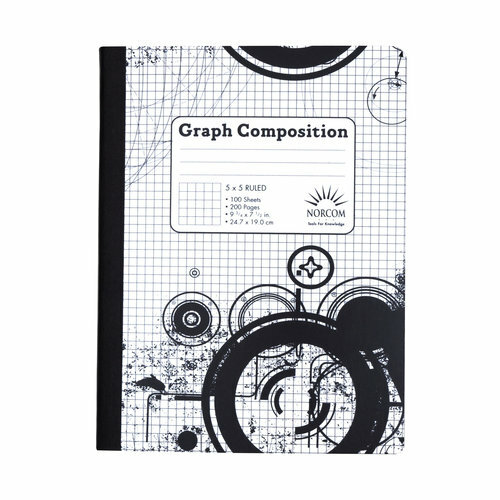 The book basically has the same dimensions and look as a Moleskine Pocket notebook, but with 72 sheets of 100 gsm (65lb) “sketch” paper (heavier than the Moleskine notebook, lighter than their sketchbook, and with fewer sheets than either) at a discounted price. But is it a worthy “replacement”? The cover is very Moleskine reminiscent, being a black sort-of faux leather wrapped around cardboard, but in this case much more shiny and plastic-y. There are visible creases on both the front and back because the spine has been stiffened to remain flat, meaning the covers more or less “hinge” open. There is an elastic band attached to the back cover that does its job of holding the book together when wrapped around and warps the covers a little bit. Also on the back cover, stamped slightly off-center is the Daler-Rowney logo. Inside there is no strict “this book belongs to:” or logo page before getting right into the 72 sheets of “ivory” sketching paper, augmented by a very cheap looking/feeling black ribbon bookmark. Inside the back cover is a page-size pocket with cloth folds for strength, and I never use these so I can’t tell you much more than that. The paper itself is good. It is indeed fairly thick and heavy, with a grain that is smoother than most sketchbooks I’ve encountered but more toothy than any “notebooks” I’ve used. Aside from telling you that it’s “acid free”, the sticker on the front cover also has a picture of a pencil and a nib (I assume standing in for all ink pens) and it handles these two quite well. 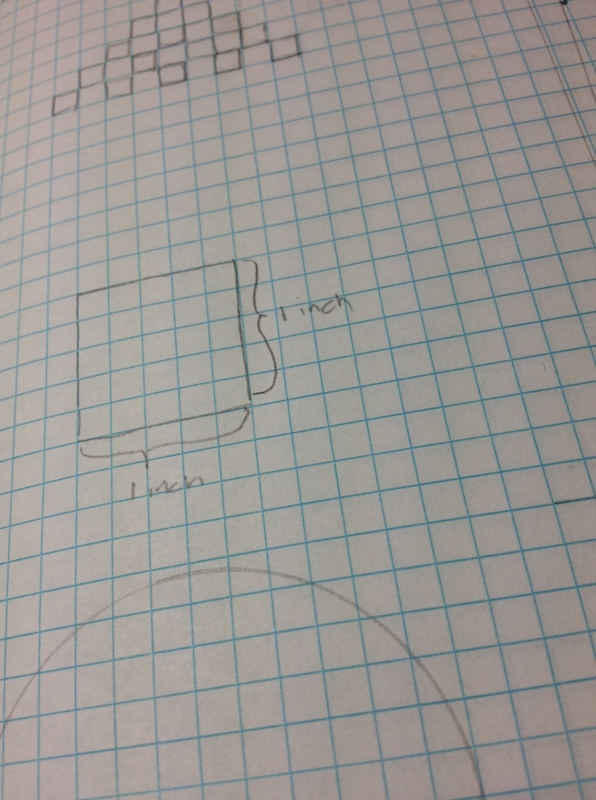 If you use pencil, there is a little bit of show-through if you go looking for it, but you could easily use all 144 “pages” of the book. The show-through becomes much more prominent with ink, especially from felt tip, brush, or fountain pens. There is also some minimal bleed-through with the more intense ink pens, but I never got it to actually mark on the next sheet. Still, it reduces the usable space of the sketchbook to 72 pages when using inks. Feathering is also a bit of an issue. There isn’t much of it, but when it happens (mostly with fountain pens) there are long thin lines of ink stretching away from your mark that almost look like little hairs. They’re pretty hard to see from far away, but when you notice them it’s hard to un-see. For the price it’s a nice little sketchbook (even if it cost more than I thought). 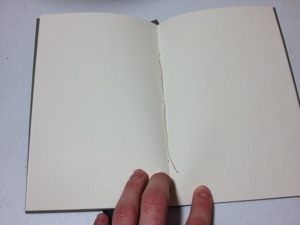 It’s held up to a few months of moderate use from me with virtually no battle-damage, and while I suspect it to be less durable than a Leuchtturm or Moleskine it is short enough that it’ll probably last until you finish with it. The paper is good quality and pleasant to write on, and the handy pocket is there with an elastic band closure to keep every thing tidy. 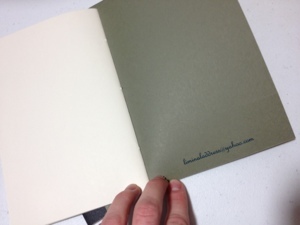 It’s a pretty good, if unrefined, option if you want a black pocket sketchbook.